iPhone Stuck On Apple Logo Boot Loop After Jailbreaking iOS 9.1 With Pangu, How to Fix? Jailbreak is still available if your iPhone and iPad keep on iOS 9.1, the famous jailbreak team pangu just released iOS 9.1 untethered jailbreak few days ago. However, some users did not go smoothly in the jailbreak process. Well, then why the device going into boot loop? From what I can understand, the Pangu jailbreak uses two racing conditions, one during the jailbreak and second when booting up. It’s the racing condition on boot that is likely triggering kernel panic, sending the device into endless boot loop of sorts. Restart your device normally, Just Hold down the power button until your device is powered off. Now wait for 2-3 minutes and then turn your device back on. Most probably your Apple logo boot loop issue will be fixed and if not move on next page. Hold down power and home/Touch ID buttons until the device turns off. Now turn on the device normally by holding down the power button and when you see the Applo logo on the screen, try pressing volume up/down buttons. Repeat the above steps until the device boots back normally. Give it at least four to five tries. In some rare cases, you may have to leave the device unattended as is while it boot loops itself for a few hours and see if it comes back to life. Step 1: Hold Down Power and Home button until the device powers down. Step 2: While pressing the Home button, connect your iOS device to the computer. Your device should power up displaying the iTunes logo along with a data cable. If you see this visual, that means your device has entered Recovery Mode successfully. Step 3: The device will show up in iTunes in Recovery Mode. Now, press the Restore iPhone button to restore your device to the stable firmware. This process will wipe all the data on your iOS device. 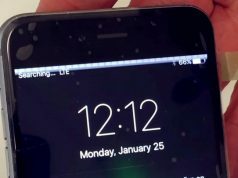 Now, iOS 9.2.1 will be downloaded onto your computer and flashed onto your device. 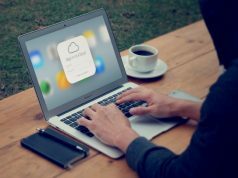 The process will take about 10 minutes, following which your device will be completely recovered and functional. And that’s it. Take this jailbreak as a lesson: Never try out a new jailbreak until a couple of days after the release when all the bugs have been discovered. Leaving your device unattended for a while also seems to fix the issue. Hence, leave your iPhone or iPad on a table overnight and wait it out. 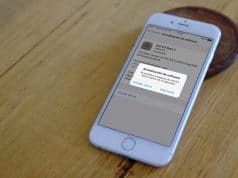 The above solutions helped fix boot loop problem for you after iOS 9.1 jailbreak? Yes or no is your answer can be shared via social networks. 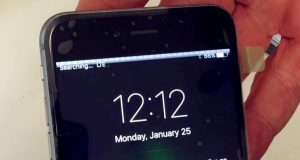 iPhone 6 Plus Screen Flickering Near the Top and Touch Unresponsive, How to Fix?